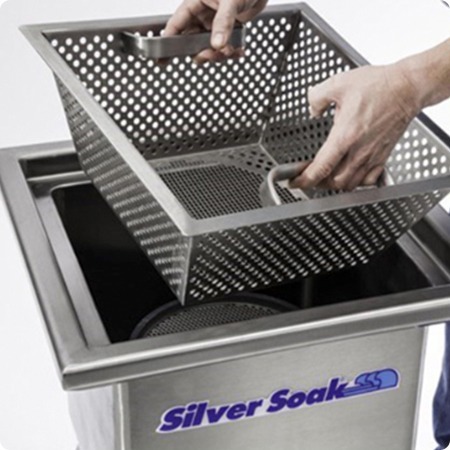 Silver Soak's one-pass warewashing provides clean, spotless silverware while reducing labor and pre-soak chemical costs. 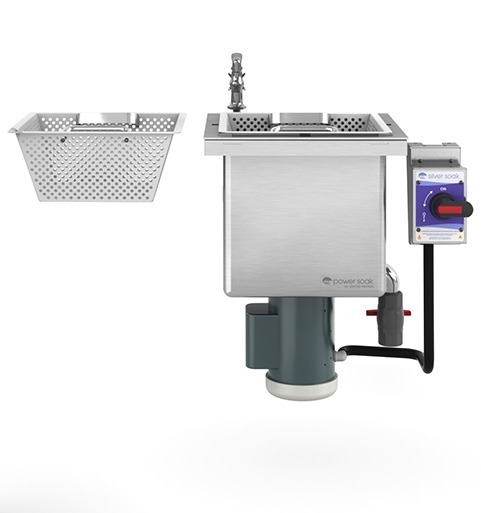 With its space-saving footprint, innovative design and efficient performance, the Silver Soak pre-warewashing system is the perfect solution for ensuring clean, sanitary silverware the first time. 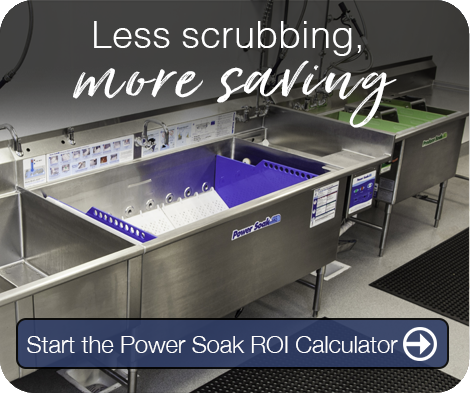 Instead of wasting valuable resources running pieces through a dish machine numerous times, Silver Soak eliminates labor-intensive “multiple passes” by removing virtually all soils and stains before silverware enters the commercial dishwashing machine. The result is sparkling silverware in one pass thanks to Silver Soak’s pre-washing power. Silver Soak’s cleaning process is extremely thorough, and operating this warewashing system could not be easier. 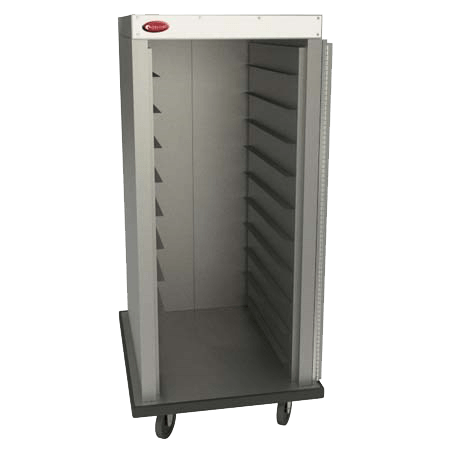 In fact, kitchen staff can simply drop soiled silverware directly into the warewashing unit and walk away. Silver Soak’s unique combination of self-heating, agitating wash action and pre-soak chemicals removes the protein buildup and fogginess from the silverware during a one-pass washing through the commercial dishwasher, eliminating flat-rack washing. 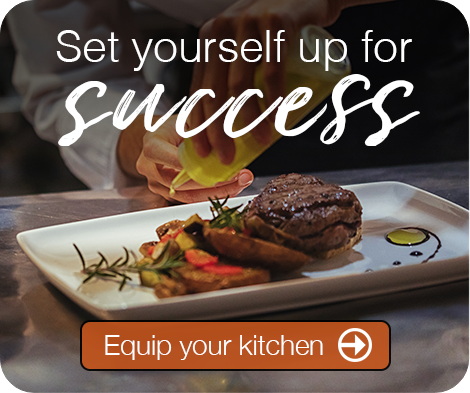 There’s never been a more cost-effective, convenient way to keep silverware looking great meal after meal — and keep satisfied customers coming back. 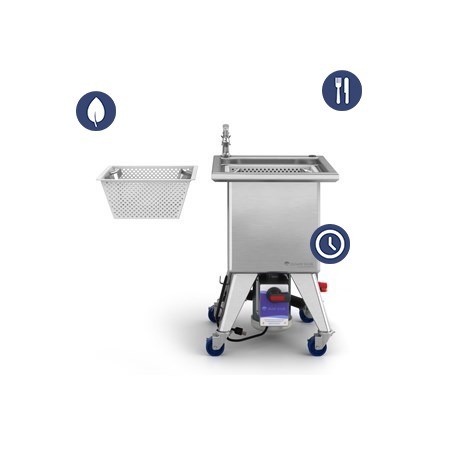 Silver Soak allows operators to make a professional impression every time while reducing water consumption, saving on costly pre-soak detergents and freeing up kitchen staff to serve guests. 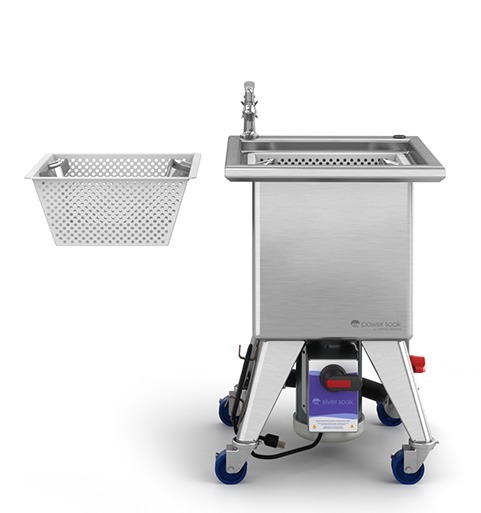 And with four model options and a footprint smaller than a bus tub, Silver Soak is the ideal silverware pre-warewashing system for commercial kitchens of all sizes.